Home » Blogs » Jon Gregory's blog » I'm great, pick me! Pick me! Yes it is right, Petula. Research conducted by The Ladders in 2012 showed that, on average, employers often do make a decision on whether to continue reading your CV within that initial 30 seconds. That's employers. Brace yourself, it gets worse. Even more eye wateringly, recruiters can make the initial ‘fit / no fit’ decision in less than 6 seconds. So, how do you make it through? Keep it brief, clear and concise. Don’t try to be clever with wordy content, special fonts, profile pictures or other distractions. A CV should be 2 pages, a maximum of 3, and focussed primarily on the job content. Use bullet points, use short sharp sentences and don’t waffle. They can always get at more detail by inviting you to an interview! Your job is therefore to tempt them with just enough. Make sure that your CV is well formatted, easy to read, lists the right titles and uses font sizes which make your important points stand out like the bride at a wedding. Spilling and grammatical, punctuation error's? No, no and thrice no! 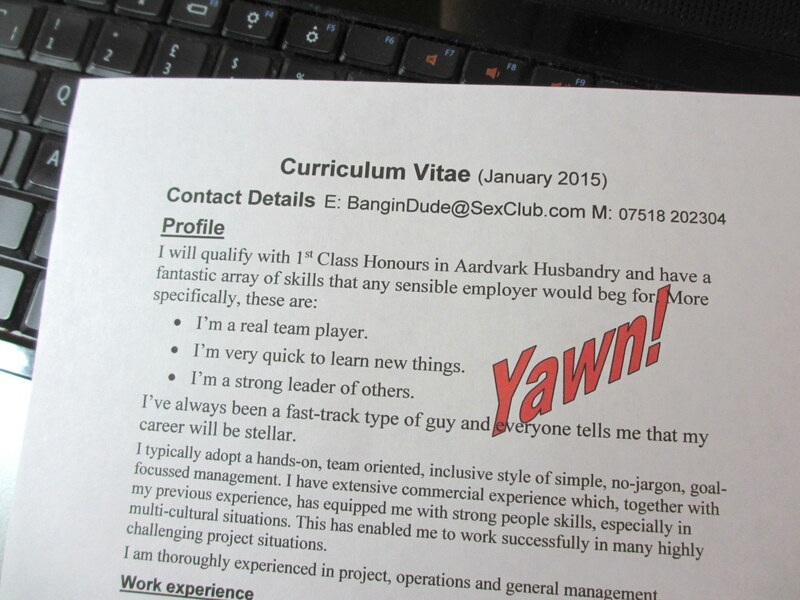 Errors on your CV are quite literally unforgivable and WILL result in an instant ‘NO’. There may be lots of people applying, don’t get rejected for something so simple, even if your experience does speak volumes for you. Get your CV checked by a second pair of eyes, preferably a third, if you can. Avoid unexplained red flags. If you've got gaps on your CV, explain them now, although by all means do keep that explanation brief. If you've jumped around a lot or temped, don’t expect your reviewer to guess that that's what you've been doing - tell them. You don't need to be defensive, sell your broader experience as a plus. If you're waiting to explain things face to face, you may not get that opportunity if your CV's got more holes in it than a golf course or if it looks like you're trying to hide something. First impressions count, even on paper or the screen. Make strong points and make them easily visible to people scanning quickly. Don't bury the fact that you're a world-leading expert in the middle of an endlessly turgid half-page paragraph. If you do, your prowess will be a secret that dies in the shredder, along with your application. Write using clear language. Avoid slang, business lingo and acronyms. Remember that although an industry-standard TLA makes sense to you, the first reviewer may not be familiar with it. (TLA? Three Letter Acronym.) You don’t want to be the cause of a furrowed brow, not even for a second. Ask your CV-checking friends to highlight anything that doesn’t make sense to them. Look like a professional. Email addresses like foxylady@hotmail.com or ihatework@gmail.com mean you'll be lucky to even last that 6 seconds. It may seem like a small detail to you, but it’s an instant red alert to a potential employer; they want to be sure you're taking things seriously. Also, don’t offer your social network links unless they’re actually going to positively sell your experience and ability to do the job. 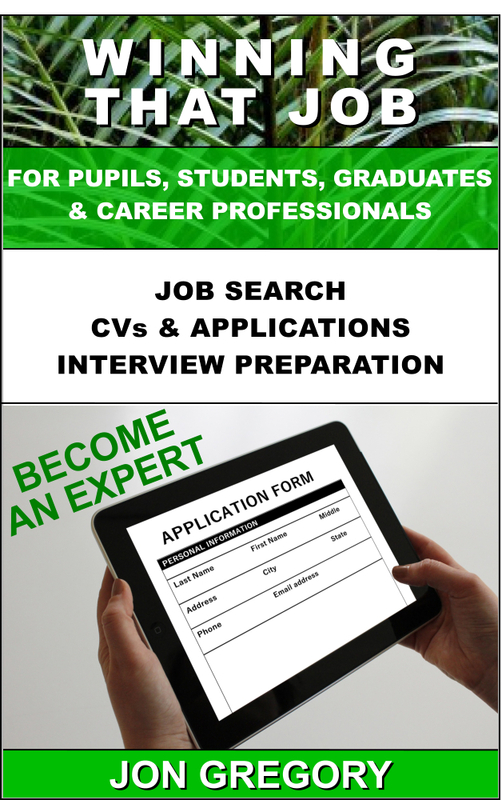 Tailor your CV to the role. Take a little time to compare your CV to the job you’re applying for. Tweak it, move relevant points to the top, downplay irrelevant areas and expand on the bits you know they want to see, from your research. Showcase demonstrable tangible skills in your personal profile by highlighting relevant strong achievements, real skills and experience. You've managed people? Great! You've reduced expenditure by £X amount? Perfect! You can ‘hit the ground running’? No! What does that even mean? It's a highly subjective statement and it can't be easily validated from a CV. Nor can 'I'm a real team player' so plan to demonstrate that at interview or via your psychometric tests. Stamp collecting may not be relevant to your application for a position in marketing and PR, but the skills you've developed by successfully organising a major international event most definitely are! I hope that helps, but post comments below if you have any further questions. To stand out: think, "I make things happen."